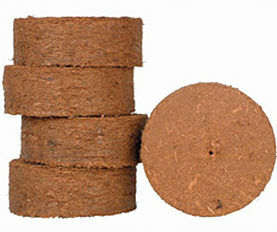 The Coco Peat Discs, supplied by us, are processed from high-quality coconut husks and can be availed in customized sizes. With the aid of our sophisticated packaging system, our skilled personnel are able to meet the standard as well as customized packaging requirements of the clients. Moreover, we check the entire lot before dispatch. Being a high-flying name in this arena, we promise to deliver the best in line quality products. In addition to this, we make sure that the offered lot is prepared using the finest grade material.